Hip-hop artist Lecrae is another artist who understands the pressure that comes with being in both the Christian and mainstream music industries. With almost two decades of success under his belt, the Grammy and Dove Award-winning Reach Records founder, decided to link arms with the major mainstream label, Columbia Records in 2016. Before signing with the well-known company, Lecrae achieved massive success on his own. His 2014 album Anomaly, released on his own label, debuted at No. 1 on the Billboard Top 200 Albums Charts, making him a known name in the secular hip-hop community. In 2015, the two-time Grammy Award winner was nominated for his single "All I Need Is You," for best rap performance and Rolling Stone magazine ranked Anomaly, Lecrae's seventh album to date, No. 12 on its list of the best 40 albums of the year. With success came criticism, and upon hearing the news of his signing to Columbia Records many of his loyal followers took to Rapzilla.com to share their reactions. 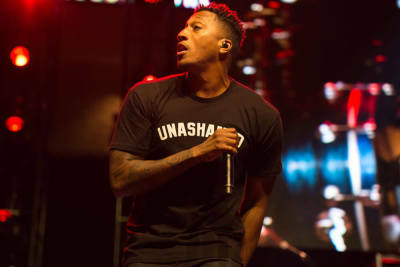 While some were in support of his decision, others were concerned because along with wanting to shed the title of Christian rapper, Lecrae’s once overt Christian lyrics had changed over time, without much mention of Jesus. "Well, he gets to take Christ Jesus to the world I just hope the world doesn't take Christ out of him," one fan commented. Lecrae is no stranger to the mainstream world, throughout his career he has shared the stage with hip-hop legends Wu-Tang Clan, Rakim and Common, as well as his contemporaries Kendrick Lamar, J. Cole and Juicy J. The news of his signing came simultaneously with the release of his first book, Unashamed where Lecrae addressed his critics. In it, the Texas native explained that he has stormed the gates of the secular hip-hop community with his music to spread the same message of God he has always had.